Happy Monday everyone! I am especially excited this Monday morning as I am off for a week after working all weekend. I am off to visit Amanda and Kevin in Arizona on Thursday for a long weekend, I can’t wait! I wanted to share a barre update with you guys as it has been a while since I posted about it. I am still doing barre and LOVE it! I actually switched studios recently as I used to go to Pure Barre and now go to The Barre Code. I made the switch mostly due to location and price along with recommendations from friends, but I am very happy with my new studio. The Barre Code offers a large variety of classes including a standard barre class, cardio-based classes, and even stretching classes. My current favorite is called brawl which is kickboxing. 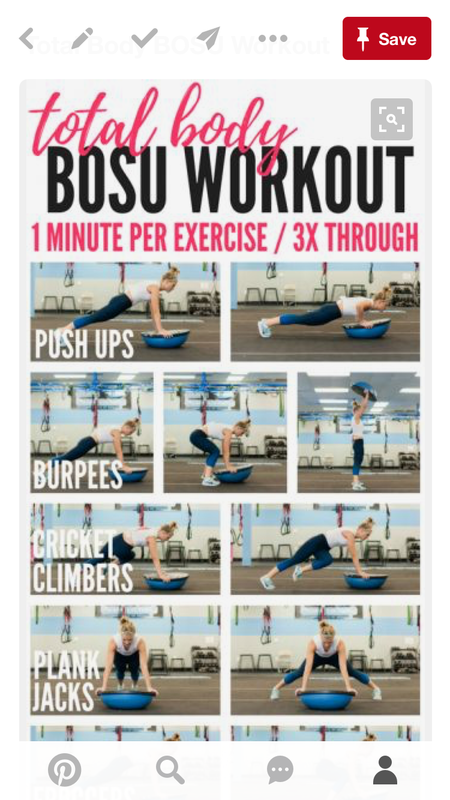 I always work up a sweat during this class and love the energy behind it. 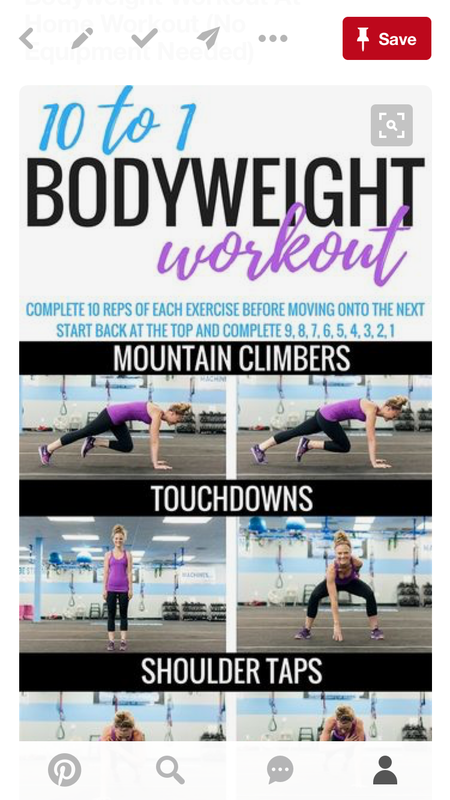 I normally take a kickboxing or another cardio-based class as well as a couple barre ﻿classes each week. 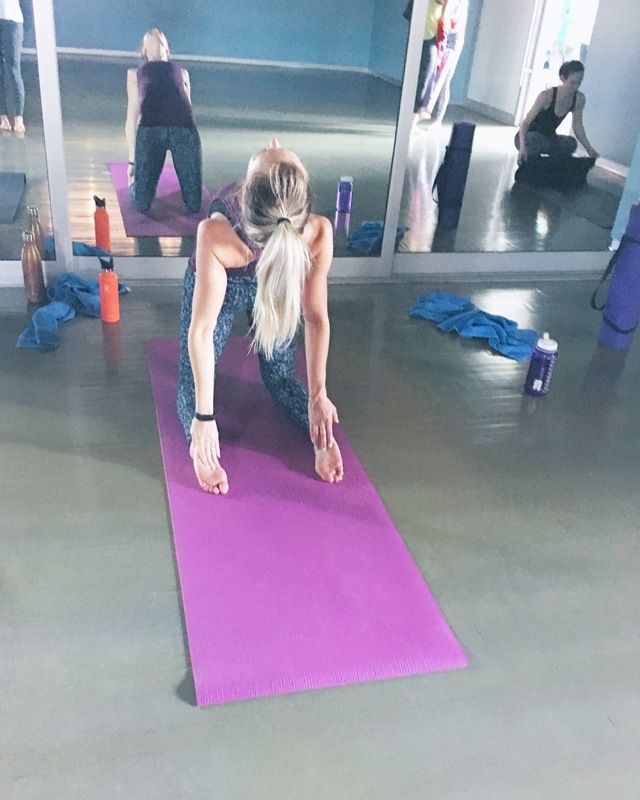 I am excited to try Burn which is barre in a heated room… it sounds intense! 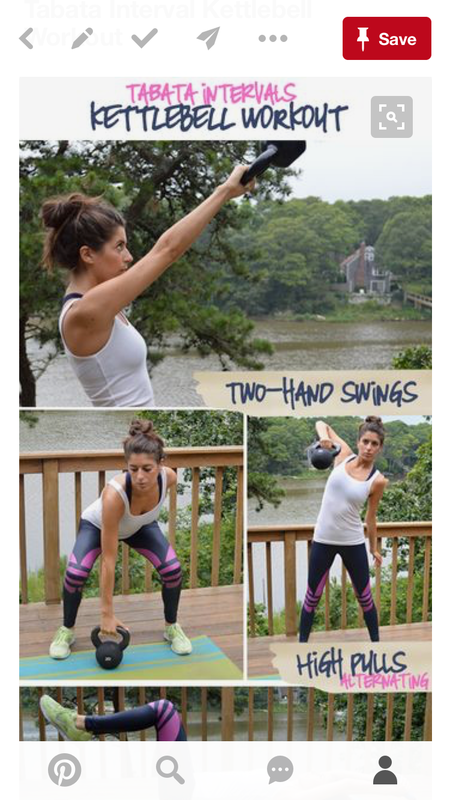 The Barre Code uses a variety of equipment each class including weights, resistance bands, kettlebells, and balls. I have been going with my friend from work which is so fun! Having a workout buddy and a monthly membership motivates me to sign up for classes each week. I definitely enjoy the variety of the classes The Barre Code offers and the times of the classes are easy to fit into my schedule. I hope everyone has a motivating Monday! We hope everyone had a nice weekend! 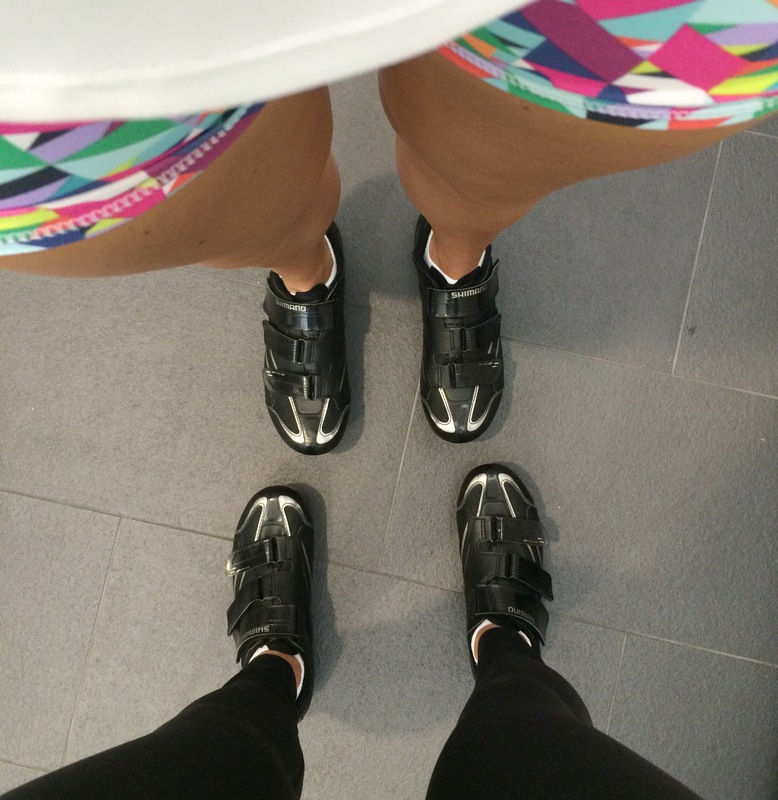 As we shared in our last post, we took a leap back into the cycling world and tried our first Soulcycle class in Chicago! The studio is new, and we couldn’t wait to try it when we found out they were opening a few studios throughout Chicago. 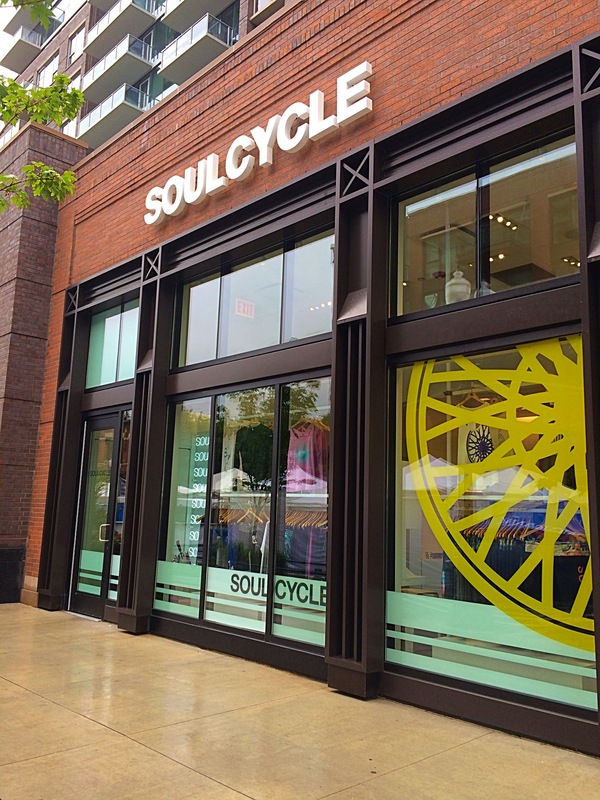 If you aren’t familiar with Soulcycle, it was started in New York as a unique alternative to group workouts. 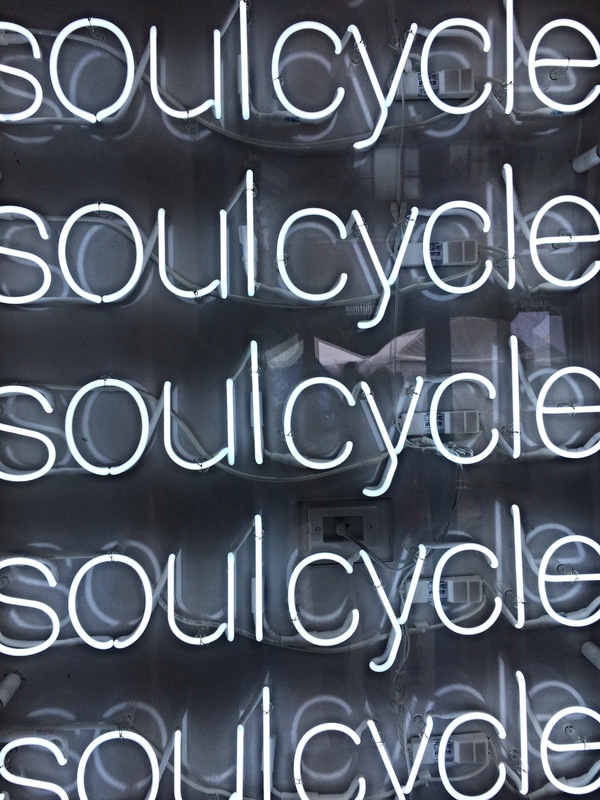 While our ride was 45 minutes long (it was their signature class), Soulcycle offers a variety of classes including an introductory class as well as longer rides. The class combines indoor cycling with quick choreography all along to a motivating beat. When we first arrived, we signed our waivers and got our cycling shoes (free for the first ride and $3 each time after). We have never clipped into a bikes with cycling shoes as we used to wear tennis shoes to cycling in college. We definitely had a few laughs as we adjusted our bikes and got the hang of clipping in. The class started promptly so we were glad we arrived a few minutes early to get acclimated. Unfortunately they don’t allow pictures inside the studio, but we were a little taken aback when we first entered the room as the bikes are all very close together. We found it to be motivating once the class started, as the close proximity of the bikes encourage you to feel the energy of riders around you. The class was full of energy especially for it being a Sunday morning. We started with a sprint and a mix of 1st, 2nd, and 3rd positions (sitting, bottom off the bike with hips pulled back over the bike seat, and standing). The instructor stressed the importance of good posture and riding along to the music, and we could instantly feel ourselves getting the hang of it. Throughout the ride we continued to add resistance until we reached a steep hill which was the peak of the class for us work-wise. We were sweating and felt our legs getting tired, but we were not giving up! Just when we felt like we couldn’t climb any more, we started to slow down and the instructor announced it was time for the weights section. Woo hoo! There were small dumbbells attached to the seat of our bike, and we quickly grabbed them and followed the instructor as he lead us through multiple arm exercises. The arm portion was combinined with crunches all while still riding at a slow pace. We could definitely feel the burn! Once we were done with the weights, it was time for the last portion of the class. Although it was still challenging, the second half of the class seemed to fly by. We ended with some fast sprints in positions two and three. It was helpful at this point to feel the people beside you and push yourself to keep pace with the other riders and the music. We finished the final sprints and the pace slowed as we were instructed to hop off of our bikes to do some stretching. We had a little trouble unclipping from the bikes, but I’m sure all new riders can relate. Overall, we found the class to be a challenging high-energy workout that was really unique. As we are both former dancers, we enjoyed the choreography aspect of the class and found that it helped the workout feel like less of a workout and made the 45 minutes fly by. We look forward to trying it again soon! Feel free to comment below with your experience with cycling and/or Soulcycle as well as any questions you may have for us 🙂 Have a great week!